Last July, Dr Ross Patterson was appointed commissioner to the telecommunications sector, based within the Commerce Commission. His appointment came at a time of unprecedented turmoil in the telecommunications market as the incumbent provider, Telecom New Zealand, was being forced to split into operational units and exposed to a new, activist regulatory environment. Within weeks of his appointment, Patterson was dealing with the complex issues of local loop unbundling, mobile roaming and access for providers to Telecom’s new sub-loop cabinets. Patterson’s background is as a lawyer specialising in competition law, having spent ten years in Sydney heading up the competition and regulatory practice at Minter Ellison. When approached for the commissioner’s role, he initially turned it down, but then changed his mind, noting how the role was to change from that held by his predecessor, Douglas Webb. “The commissioner will play a pivotal role in implementing the new telecommunications regime introduced following the May 2006 Stocktake and December’s Telecommunications Amendment Act,” said IT Minister David Cunliffe. Patterson says the post was previously more of an arbitrator or vindicator of disputes, but was changed to be a “more active and more interesting proposition where you can make a real difference”. But it isn’t just the role that has changed. People familiar with Patterson and Webb have noted a distinct difference in style between the two. Webb has been described as “magisterial” where Patterson is “affable”. He is also said to be extremely smart. “He’s inclusive, low-key and pragmatic,” says a former collegue. Patterson faced an interview panel consisting of ministry people, with the non-political role also needing approval from the Governor General, on the advice of the Prime Minister, as well as the Leader of the Opposition. This means, should the government change, Patterson keeps his five year, $370,000-a-year role — unless he is ever found to be incompetent. 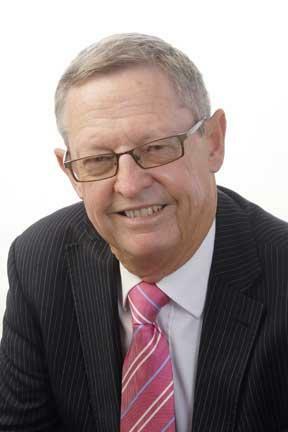 Patterson is president of the Australia New Zealand Business Council, and a member of the Australian New Zealand Leadership Forum. He is more noted for work on competition rather than telecommunications, saying he is a firm believer in the rigours of competition. “Basically, I’m a competition lawyer. Competition delivers the best results in terms of cheaper prices and better quality. How the Telecommunications Act promotes competition is the test that we have to apply,” he explains. Rather than solving problems, his role is more about working through and determining standards for issues, such as local loop unbundling. And on such matters, New Zealand is finally making progress. “We are catching up. Australia has had LLU for a number of years. We have commercial offers in the marketplace for a couple of months. There are five unbundled exchanges in Auckland and there’s more to be rolled out in May,” he says. Patterson says the next big issue facing the industry is sub-loop unbundling. Telecom is now rolling fibre out from street side cabinets, allowing the delivery of faster broadband as the lengths to the home are shorter. Now policies are being determined to assess how ‘access seekers’ can gain access to these cabinets, a wholly different model to other countries. A further issue is New Zealand’s mobile market, which is dominated by two players in a saturated market. “The issue is co-location on existing carriers. It’s very difficult with Resource Management [to get planning approval] to be able to build a complete network of additional towers as councils don’t like them,” Patterson says. In Australia, planning licenses to build cellphone towers are conditional on allowing access to other providers to install their equipment on them. “The entry of a third player into the mobile market is something that will happen, but there are a number of hurdles that will have to be overcome,” he says. Consumers want better and more affordable services but operators are told we don’t want them to build any more towers, he says. The commission’s job is to work out how to deliver access to existing towers for new providers to install their equipment, a system called “co-location”. The government has accepted that co-location not be subject to price regulation and recommendations are before the government on mobile roaming to make terms more technology neutral. Patterson says he has few dealings with communications minister David Cunliffe. Indeed, he says the new regime has been welcomed by all industry players; with the Commission trusted, as it morphs from a disputes resolution service to one setting terms and conditions. Ernie Newman of user group Tuanz agrees, declaring Patterson a “good guy, well regarded in the industry, approachable and easy to get on with”. He, too, talks about a change of style. Looking back over the past nine months, Patterson says the telco sector has progressed tremendously in meeting “a tight timeframe to achieve new services. Australia has had LLU for several years but has not set a final price for access, whereas New Zealand did so within a year. “In the coming years we will have the LLU programme prioritised, with exchanges rolling out over the next two years. There will be increased competition, a new mobile carrier will be up and running. Telecom will have WCDMA. Really there should be considerable competition in mobile markets, in data. The competitive landscape will be transformed,” he says. Referring to National’s $1.5 billion broadband policy announcement and possible election, Patterson remains diplomatic, adding it is too soon to make a comment on policies till you see the detail. “Irrespective of fibre-to-the-Home policies, both parties will have a broadband policy. It is clearly at the top of the agenda for both parties. The focus of both parties on improving broadband is very positive. It’s going to be an interesting time whoever wins the election,” he says. Patterson says his role involves 10-12 hours days in Wellington, but shorter days in Auckland on Mondays and Fridays when he is in industry meetings. “I try and keep weekends free for family, friends and sport. I live in Auckland but commute to Wellington. The Auckland connection is that it is where the industry is. It is very important to engage with the community in this role,” he says.